We focus on delivering business solutions to investors, developers and operators who are considering or proceeding with Spa & Wellness projects. Demand is rising, offering investors and developers the opportunity to earn above-market returns. our team has the expertise to maximise a successful product. Our team of skilled researchers, analysts, and business professionals will initiate an in-depth site and competitive analysis along with a concentrated investigation of significant statistics and international development benchmarks in order to create a tailored business plan with detailed demand analysis and financial forecast for our clients. allows us to provide a comprehensive range of advisory services. 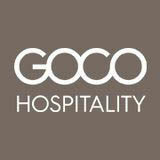 and expertise to guide the team and drive profits. Overview The goal of the assignment was to survey Thailandâ&#x20AC;&#x2122;s local landscape to determine if there is demand for this type of residential real estate development and whether this type of residential area estate development is financially viable. Overview Horwath HTL Health & Wellness proposed a luxury wellness retreat that offers a selection of indigenous healing traditions as well as a hightech Western wellness centre overlooking the valley, merging together Eastern and Western wellness protocols. Overview Horwath HTL Health & Wellness proposed a targeted medical wellness retreat as part of a luxury villa development in Koh Samui. The wellness retreat is set to provide an all-encompassing health solution, using cuttingedge diagnostic technology in a luxury resort environment. Overview Nestled into the landscape of a 300-hectare land plot in Central Costa Rica, the development is set to become a true wellness community, featuring a boutique wellness resort, wellness real estate, retail and cultural village, multiple meeting and educational spaces, and an organic farm. Overview Horwath HTL Health & Wellness proposed a one-stop health, wellness and beauty solution with multiple profit centres including spa, boutique fitness, aesthetic facility, and a healthy food and beverage outlet. Overview Proposed a modern luxury spa facility that would include a versatile thermal area and an outdoor functional fitness park. To gain competitive advantage, we recommended developing an extensive heat and thermal circuit that includes a vitality pool, anticipating more guests from China. Overview Worked with the Clientâ&#x20AC;&#x2122;s team to provide initial strategy and concept recommendations for two wellness and sustainability-themed ultra-luxury developments. Proposed a contemporary, yet authentic concept with a range of different Eastern and Western treatment modalities, allowing the development to become a health and wellness destination in itself. Overview A luxury resort on an island in the Venetian Lagoon with 1,750 square metres of space, spread across three different buildings allocated for a spa development. Proposed a luxury spa facility that works within the historic building structures that were already onsite and supports the overall positioning strategy of the hotel. Overview An award-winning resort in Miami Beach with 1,300 square metres of space allocated for spa and fitness development. Proposed an array of advanced beauty services using an exclusive result-driven product line, aimed to create a loyal customer base of local female consumers. Overview Horwath HTL Health & Wellness proposed a concept for the expansion of a 150-year old hot spring resort in North America. The adjacent 62-acre land plot will be developed into a worldclass wellness community including a boutique lifestyle resort, a wellness resort and branded wellness real estate for sale. Overview Horwath HTL Health & Wellness proposed a village-type concept that includes a farm-totable restaurant, an organic café, a farmers’ market, a spa facility, an activity centre, and a boutique meeting and event facility to attract guests during weekdays and to extend the average length of stay during weekends. Overview As part of mixed-use real estate development, Horwath HTL Health & Wellness proposed a clubhouse with multiple dining and meeting facilities. To attract an elite customer segment, the clubhouse also features a highly exclusive spa, fitness centre, and rooftop city beach that are open to members only. Overview To capitalise on the strong spa and fitness membership market, Horwath HTL Health & Wellness suggested converting parts of the meeting facilities into a ‘members only’ lounge, allowing the hotel spa facility to offer a competitive spa and fitness membership programme. Overview Proposed a concept that blends modernity with elegant Italian style of the brand. To capitalise on the growth of male grooming in China, Horwath HTL recommended a dedicated male grooming atelier, offering barber services and treatments that are formulated specifically for male skin. Overview The Client, a large tour-business operator, wanted to explore the opportunity of incorporating spa and beauty into its standard tour package. Horwath HTL Health & Wellness proposed a twofold day spa concept with separate areas for groups and FITs, as well as an outdoor bathing area that can be transformed into an entertainment venue at night. Overview To countervail a pending insolvency, Horwath HTL team was assigned as strategic advisors to the lending partners of the project, analysing the status quo, re-structuring the business case and financial budget, and, eventually, turning a lossmaking asset into a profit-making asset in three to six months. 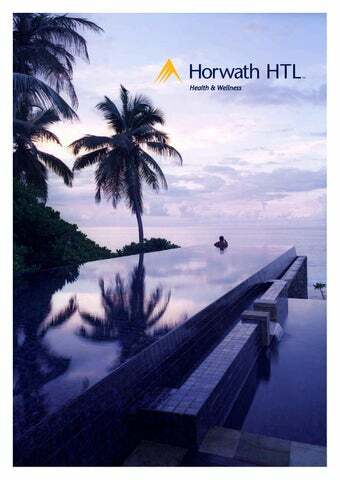 www.horwathhtl.com Horwath HTL is a member of Crowe Global, a professional association of accounting and management consulting firms founded in New York in 1915. Crowe Global is ranked among the top ten international professional service groups with offices in 586 cities in 108 countries.